When you have found a product that you wish to purchase click the 'add to shopping cart' link from that product's page. You can remove products from your shopping cart later if you change your mind. Shopping is safe as our secure-server software encrypts all your personal information including credit or debit card number and name and address. 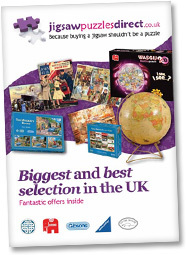 Paying for your puzzle couldn't be easier, we accept credit cards and cheques. If you have any further questions please contact us.